Iti place sa scrii si esti pasionat de limba engleza? Visezi sa experimentezi viata de student la o universitate britanica de renume? 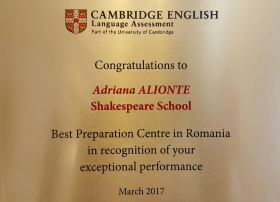 Atunci participa la editia a 11-a Shakespeare School Essay Competition si poti castiga o tabara de vara in Marea Britanie dar si multe alte surprize! The mere formation and existence of human society is based on rules. As humanity and their reservoir of knowledge have evolved, so have the rules its existence is based on! New rules have stemmed from every new field of knowledge, have been refined and have eventually lead to the comfort of our modern lives. But aren’t they too many now? Write a 250-word essay in which you explain and describe what this world would be like. Can all the rules disappear or just rules from certain domains, for example grammar rules, political rules, moral rules or…the laws of physics? Would people feel freer without rules? Would life become easier, knowing that no one is imposing their rules against you? Are there any rules you impose on others? Would society be better with fewer rules? 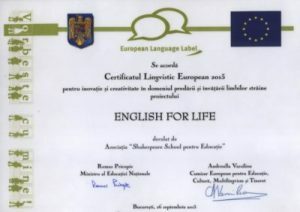 Toti profesorii de limba engleza care trimit minim 10 participanti la 2019 Shakespeare School Essay Competition, vor primi un “Certificate of Merit” in format digital din partea centrului nostru dupa festivitatea de premiere din 10 iunie 2019.